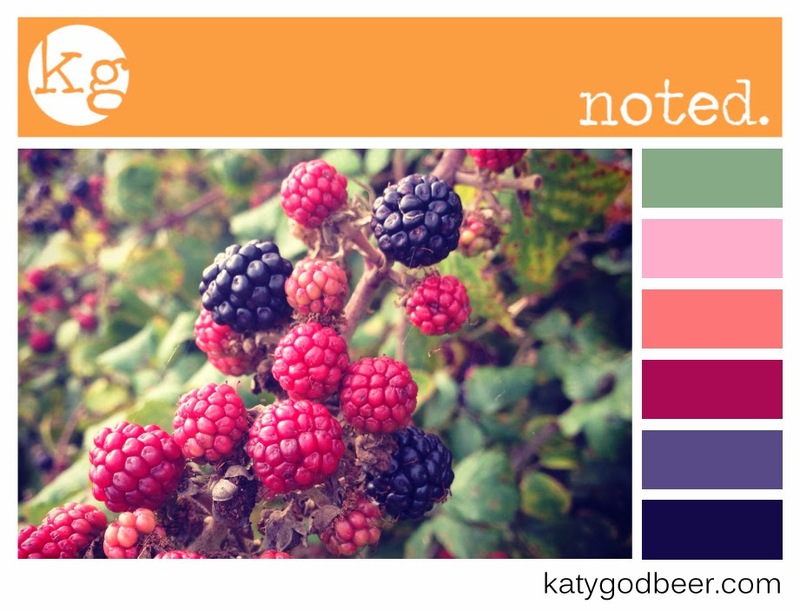 It's time for another dose of colour inspiration, and today is all about berry tones. My picture was taken in the Autumn during a walk at Radipole Lakes RSPB reserve in Weymouth. I really love this little patch of the countryside nestling in the middle of the town. There are plenty of birds to observe and it's a great place for a short stroll too. The pinks, purples and indigo shades really appeal to me, so much so I was inspired to paint a feature wall in my dining room using a gorgeous shade of 'Forest Fruits' from the Colours range from B&Q. I'd just love to see if you use this as inspiration to get creative - whatever form that might take! Leave me a comment below so I can come and visit your blog too!